Join us for a fun-filled day of baseball, BBQ, and smiles. We will have volunteers on the field coordinating hitting, fielding, and running stations while experiencing the new field first-hand. Bring the whole family out to the field and help us kick off our first Miracle League North Bay season! Find answers to some of our most commonly asked questions. If you need more information or have additional questions, please contact us. What is the Miracle League North Bay? Miracle League North Bay is a non-profit organization that provides children with intellectual and developmental disabilities an opportunity to play baseball as a team member in an organized league at a specially designed adaptive field. My Child has never played baseball or any other sport. Can he or she participate in this league? Yes. Girls and boys between as young as the age of 5 years of age are eligible to participate in Miracle League North Bay regardless of his or her level of ability or experience. All games are played on The Miracle League Field at Lucchesi Park (between the Petaluma Community Center and American Little League fields). The Petaluma Community Center is located at 320 N. McDowell Blvd, Petaluma, CA 94954. All Spring league games will take place on Saturdays, with the first game starting at 11:00. Fall League is still to be determined. More info to come. How are the games played? How long is a game? Each game lasts one hour, but participants are asked to arrive 15 minutes prior to the start of the game and check in with their coach. Games are non-competitive in nature, with every player batting, rounding the bases and scoring each inning. Volunteers are assigned to each player to assist and provide encouragement throughout the game, both in and out of the dugout. The score is always tied at the end of the game. The focus is on participation and inclusion rather than on winning. The teams will have 8 – 12 players. No. On Opening Day every player will receive a team jersey and cap that is to be worn during games. Players are welcome to bring baseball gloves, but the league provides equipment for team use. Players can wear any shoes except cleats, which are not allowed on the field. A concession stand is located next to the field. Restroom facilities are available near the field and inclusive park as well. Do I have to live in Sonoma County to be eligible to participate? No. Miracle League North Bay serves residents throughout the surrounding counties. Are there team practices between games? Each player will have a volunteer, if needed, to assist them at each game. Volunteers must register before the season and are assigned to a player on a one-to-one basis for the entire season. The Volunteer is asked to protect the player from hard hit balls, assist the player in batting and rounding the bases, and to be a friend on and off the field. The siblings, parents, relatives, and friends of players can be their volunteer if they choose to. What if we cannot attend one of our scheduled games? Attendance is voluntary and there may be an occasion when you have to miss a game. Players and Volunteers are asked to notify the coach at least 24 hours prior to the game if unable to attend. What is The Miracle League Field? The Miracle League Field is the first ADA accessible ball field of its kind in Northern California. 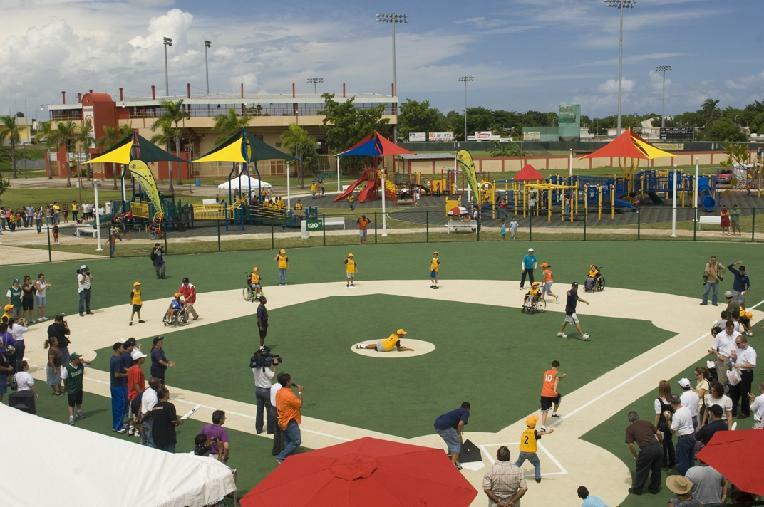 The field surface is a flat synthetic turf that ensures that children with intellectual and developmental disabilities can safely play ball. The bases are painted on the turf thereby providing a barrier free surface. The entire field is wheelchair accessible. Is there parking at the field? Parking is available at the back side of the community center. The parking area is circular in design for easy drop-off and pick-up of players with multiple handicapped and van parking spaces available. Visit the Volunteer section of our website or contact us through the website to learn more about volunteer opportunities and registration. Where can I register to participate? The registration form is available online through a link on our website. The registration period for players, volunteers, and coaches starts about three months before the start of a season and ends about one month before the start of a season. Yes. The registration fee is $50.00 per season. Once teams are formed and assignments are made, team participants will be contacted via email with more detailed information, usually about two weeks before opening day. Team schedules and team rosters are available on our website or at the field during the season. 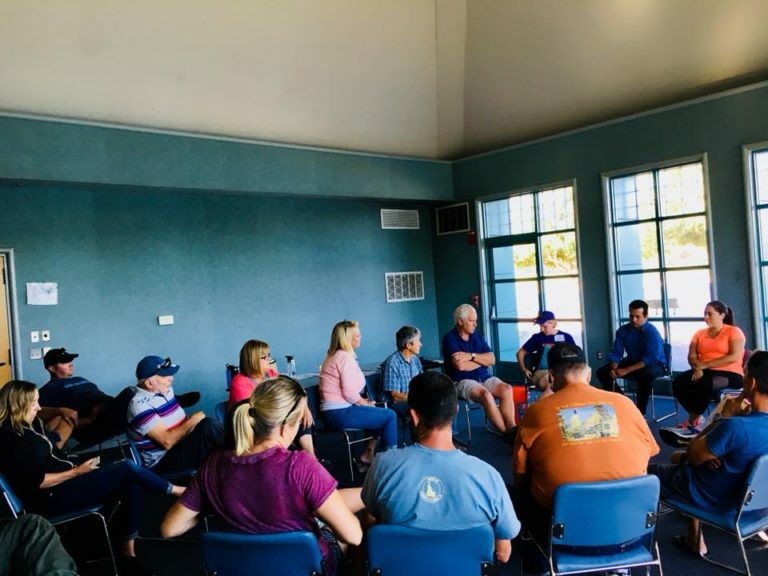 Located at the Lucchesi Park (between the Petaluma Community Center and Petaluma American Little League Fields), The Miracle League North Bay Field is a baseball complex that is designed specifically for children and adults with disabilities. 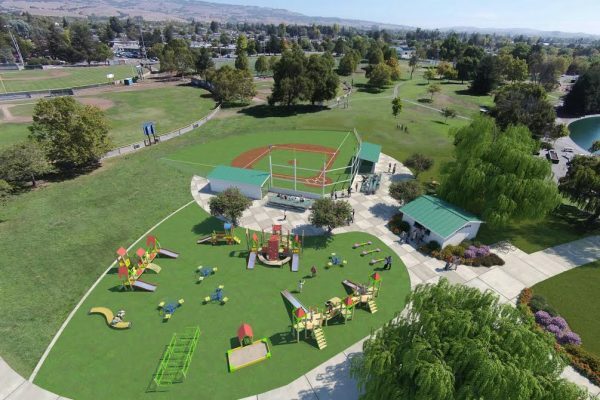 Located at the Lucchesi Park (between the Petaluma Community Center and Petaluma American Little League Fields), The inclusive park is a playground that is designed specifically for children with disabilities.